Attention Ladies! 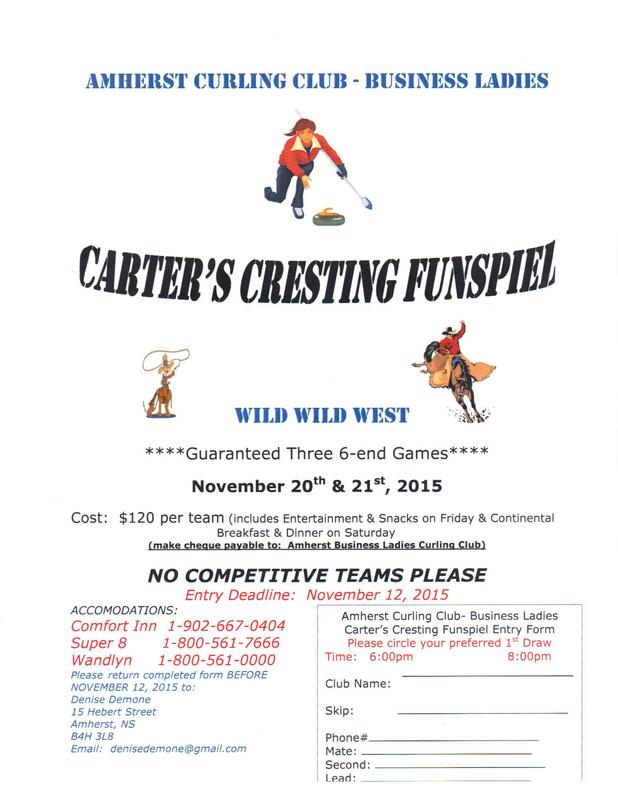 The Carter’s Cresting Ladies Funspiel is coming up November 20 & 21. The theme this year is ‘Wild Wild West’, should be fun!! Registration deadline is November 12th. See the poster below for details. We have teams signed up already, don’t miss out! !